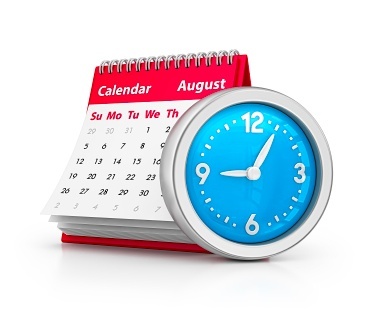 We release our pre-bookable appointments with a Doctor up to three weeks ahead. We also can offer Minor illness Nurse appointments which are available daily. Our Minor illness Nurses are able to prescribed. You can also see our Clinical Pharmacist who can see you for medication reviews we have appointments available on a Monday in the morning and all day on Tuesdays. For Routine, Minor illness and Clinical Pharmacist appointments you can ring anytime of the day when the surgery is open. If you require an emergency appointment please call from 8.00am on any weekday. When you phone the receptionist is required to triage your symptoms so will ask you questions about your symptoms and decide with you if an emergency appointment is required, if so an appointment will be made for the same day, with either a GP or one of our Senior Minor Illness Nurses or our Clinical Pharmacist. If you do not require an urgent appointment you will be offered the next available pre-bookable appointment, this will be within the next three weeks. The phone lines will be manned from 8:00am as usual. Emergencies will be dealt with immediately, however patients that attend the surgery to book an appointment will not be able to do so until 8:15am. As a surgery we have listened to our patients and we hope that this new system will result in patients being seen sooner and more appointments being available. There are now more bookable GP appointments in Northampton, making it easier for you to get an appointment at a time that suits you including evenings, weekends and Bank Holidays. The Northampton GP Extended Access Service is an extension of your usual GP practice, it is not a walk-in-service, you need to make an appointment through your usual GP practice. The service is located on the ground floor of Highfield Clinical Care Centre, Cliftonville Rd., Northampton NN1 5BD. Patient online services will help you to take greater control of your health and wellbeing by increasing online access to services: You can now Book Appointments online, View Health Records and Renew Prescriptions. For further information please ask at reception. In order to access online services registration is required in person with photographic identification, this will enable us to generate a username and password. As of 31.03.2016 patients will be able to request a recoded summary of their records. If possible please try to telephone reception before 12:00pm noon if you require a home visit. You can be visited at home by a district nurse if you are referred by your GP. You should also be visited at home by a health visitor if you have recently had a baby or if you are newly registered with a GP and have a child under five years. If you are sick for more than seven days, your employer can ask you to give them some form of medical evidence to support payment of SSP (statutory sick pay). It is up to your employer to decide whether you are incapable of work. A medical certificate, now called a 'Statement of Fitness for Work' from your doctor is strong evidence that you are sick and would normally be accepted, unless there is evidence to prove otherwise.